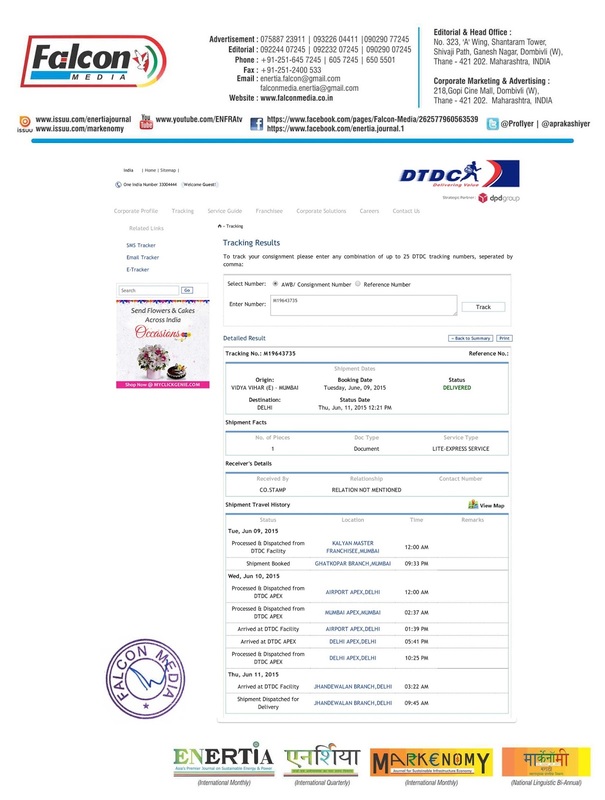 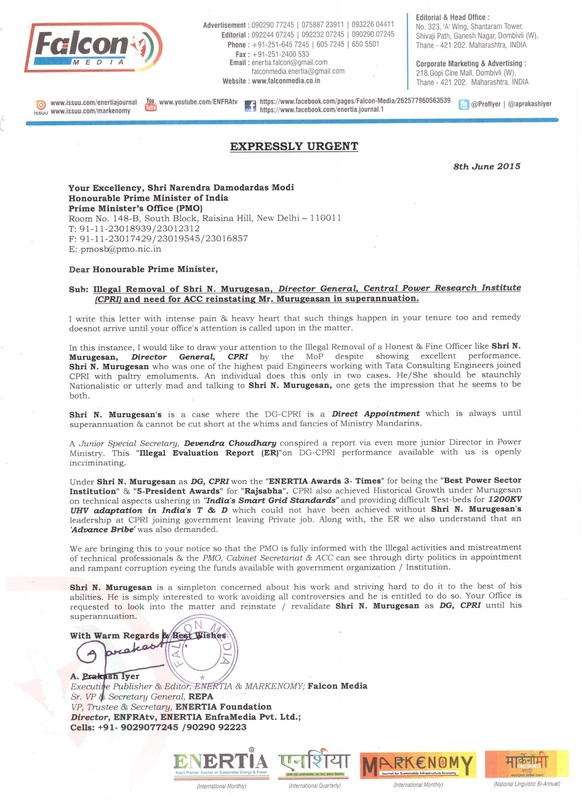 ENERTIA: Letter to Shri Narendra Damodardas Modi, Honourable Prime Minister of India Illegal Removal of Shri N. Murugesan, Director General, Central Power Research Institute (CPRI) and need for ACC reinstating Mr. Murugeasan in superannuation. 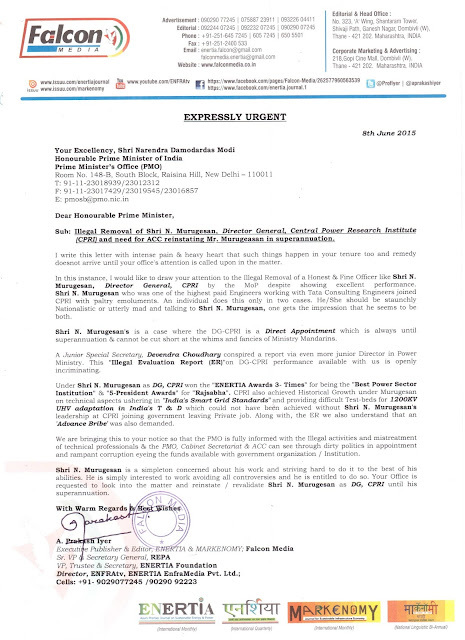 Letter to Shri Narendra Damodardas Modi, Honourable Prime Minister of India Illegal Removal of Shri N. Murugesan, Director General, Central Power Research Institute (CPRI) and need for ACC reinstating Mr. Murugeasan in superannuation. 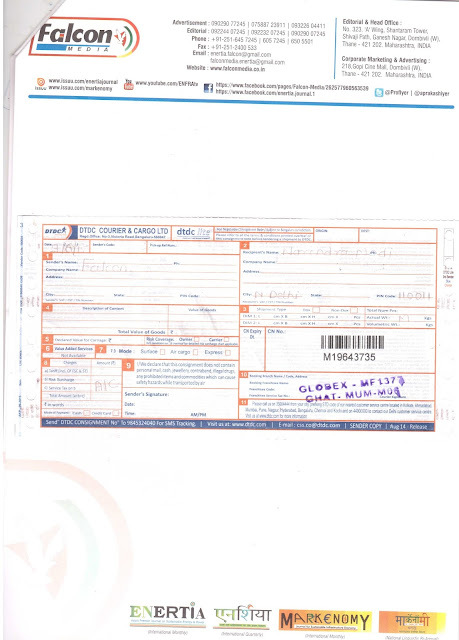 Illegal Removal of Shri N. Murugesan, Director General, Central Power Research Institute (CPRI) and need for ACC reinstating Mr. Murugeasan in superannuation.